LINDA AXELROD IS A PROFESSIONAL ACTRESS, WRITER AND PERFORMER. SHE HAS APPEARD IN NUMEROUS FEATURE FILMS, TV SHOWS, STAGE PRODUCTIONS AND CORPORATE EVENTS. A WINNER OF NUMEROUS LOCAL, STATE, REGIONAL AND NATIONAL BEAUTY PAGEANTS, LINDA ACQUIRED HER STAGE PRESENCE AT AN EARLY AGE AND SUBSEQUENTLY DEVELOPED A TALENT AS AN ACTRESS, PERFORMANCE ARTIST, AND CELEBRITY IMPERSONATOR UNDER THE TUTELAGE OF SUCH FAMOUS DIRECTORS AS WOODY ALLEN, BRIAN DIPALMA, AND STEVE BUSCEMI. RENOWNED FOR HER COMEDIC TIMING, ENTHUSIASM AND AFFABILITY, LINDA HAS CREATED INDELIBLE IMPERSONATIONS OF JOAN RIVERS, MARILYN MONROE, LUCY, CHARO AND MAE WEST AMONG OTHER FAVORITE ICONS. LINDA HAS WORKED IN A VARIETY OF SITUATIONS FROM CONCEPT, TO WRITING, TO PERFORMANCES, BRINGING HER PROFESSIONAL EXPERIENCE TO EVERY PRODUCTION. WHEN A PRIVATE PARTY, SALES MEETING OR CORPORATE EVENT NEEDS ENTERTAINMENT OR A MISTRESS OF CEREMONIES, LINDA’S ENTHUSIASTIC PERSONALITY AND SENSE OF HUMOR DRAWS AN AUDIENCE IN AND KEEPS THEM FOR THE ENTIRE SHOW. MEETING YOUR OBJECTIVE WITH LAUGHTER AND FUN IS ULTIMATE THE GOAL OF EVERY PRODUCTION. THESE LOOK ALIKE CHARACTERS SING AND ROAST HONORED GUESTS AND MAJOR CORPORATIONS BASED UPON INFORMATION SUPPLIED BY THE CLIENT. LINDA’S CREATIVITY, INNATE ACTING ABILITY, KEEN IMPROVISATIONAL SKILLS ENABLES HER TO INTERACT DIRECTLY WITH THE CLIENT/AUDIENCE. CUSTOM WRITTEN ROASTS ARE ONE OF LINDA’S SPECIALTIES AND HAVE BEEN AN OUTSTANDING SUCCESS. ACCORDING TO INDUSTRY INSIDERS, “SHE’S BETTER THAN THE REAL THING - - AND A LOT NICER TO WORK WITH!” Partial Client List; Wall Street Journal VH1 music station Aventis Nielsen-Wurster DuPont A & E T.V. Biography Merck Tavern on the Green AT&T American Express Citi Bank Badgely Mischka Fashion Designers Beneficial Savings Raytheon McDonald’s Friars Club Asplungh International International Coiffeur Show The Today Show PKF & Mark III CAN WE TALK...ABOUT LINDA Linda Axelrod is a professional actress, writer and performer. She has appeard in numerous feature films, TV shows, stage productions and corporate events. A winner of numerous local, state, regional and national beauty pageants, Linda acquired her stage presence at an early age and subsequently developed a talent as an actress, performance artist, and celebrity impersonator under the tutelage of such famous directors as Woody Allen, Brian Dipalma, and Steve Buscemi. Renowned for her comedic timing, enthusiasm and affability, Linda has created indelible impersonations of Joan Rivers, Marilyn Montoe, Lucy, Charo and Mae West among other favorite icons. Linda has worked in a variety of situations from concept, to writing, to performances, bringing her professional experience to every production. When a private party, sales meeting or corporate event needs entertainment or a mistress of ceremonies, Linda's enthusiastic personality and sense of humor draws an audience in and keeps them for the entire show. Meeting your objective with laughter and fun is the ultimate goal of every production. These look alike characters sing and roast honored guests and major corporations based upon information supplied by the client. Linda's creativity, innate acting ability, keen improvisational skills enables her to interact directly with the client/audience. Custom written roasts are one of Linda's specialties and have been an outstanding success. According to industry insiders, "SHE'S BETTER THAN THE REAL THING -- AND A LOT NICER TO WORK WITH!" The Vogues created a sound. It was a fresh, original blend of vocal harmony that left an indelible mark in the world of popular music. 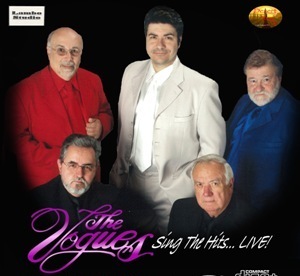 Inducted into the Vocal Group Hall of Fame in 2001, The Vogues remain one of the top vocal groups on the oldies scene today. Even though their first hit "You're the One" was released over 40 years ago, the Vogues continue to attract sellout audiences at concerts and club appearances around the country. Their outstanding talent, stylish delivery and excellent choice of material, coupled with their vital, poised performance, makes this group one of the world’s top oldies acts. The 2007 return of original tenor Hugh Geyer to the band and the 2008 return of original lead vocalist Bill Burkette only serves to enhance that authentic Vogues sound. According to Webster, the word "vogue" means general favor or acceptance. The Vogues many sold-out shows prove that they are not only accepted, but favored by oldies aficionados everywhere! They truly fulfill the promise of their name. Throughout the years, the sound remains unmistakably The Vogues. NBA STAR and one of america's most famous and sought after individuals... Also one of the stars on the up coming Donald Trump Show "The Eprentice..."
THE FUNKY HIPPEEZ is a live thematic show complete with elaborate costumes and antics reminiscent of the ‘70s and 80's disco era. The show is a fast-paced, non-stop ride through your favorite K-Tel disco hits. The band consists of five members with an option of solid gold dancers upon request. 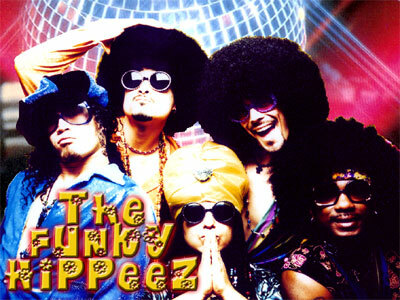 The Funky Hippeez’s original Disco Funk Song "Foxy Mamma" was featured in the Focus Film "Something New" and used for the radio and TV Trailers for the Hit Comedy "Barbershop 2"
A.B. Shot to the stratosphere with his victory on the first Oprah Show Karaoke Challenge last November 2009, which re-aired on July 15th (check local listings). Judges for the Challenge included producer David Foster, songwriter Diane Warren, and Antonio “L.A.” Reid. Diane Warren is among the song­writers and producers working with A.B. at the legendary Record Plant in his hometown of L.A., along with such heavyweights as Watters and long-time partner Louis Biancaniello, JR Rotem, Paula Gallitano, and others. A.B.’s win on the Karaoke Challenge, which led to live performances on three Oprah shows, was the culmination of a life-long journey to share his musical artistry with the world. It all began when he won the ACT-SO talent contest at age 13 with his version of Oleta Adam’s “Get Here.” Years later, the same song won him Oprah’s first prize of $250,000 plus the Def Jam contract. The singer and his mom have moved into a new home in Hawthorne, and he has seen his dreams take legs “in Jesus’ Cadillac.” A.B. Is also driving a new car proudly showed Oprah his “No Phone Zone” certificate on his latest visit, much to her delight. Yes, it’s true about who you know in Hollywood but sometimes it's merely fate working her mysterious magic. That’s exactly what happened when five worlds collided. A mutual producer friend spearheaded the initial introduction of ultra-hot European lead singer Dhana and LA local producer/keyboardist Gregg. Shortly after, followed the discovery of drummer Jason, guitarist Matt and bassist Brian. Named after the bouncy dolls seen in the back of taxicabs, Taxi Doll was formed to bridge the gap between pop-rock and electronic music. Inspired by a mix of Garbage, Chemical Brothers and Blondie, the band quickly popularized a sound that is often referred to as “Rocktronica”. Since the inception of Taxi Doll, they have placed numerous songs in TV and Film, with “Waiting” charting 3 on the Billboard Dance Charts and now “Be With You” which is currently moving up the charts. Their songs can be heard in the following movies and TV shows: "John Tucker Must Die" "Firewall" "Shall We Dance" "Laguna Beach" "The Hills" "CSI: NYC" "Veronica Mars"
DIAMOND IS FOREVER! David J. Sherry David Sherry is best known for his impression of the pop icon, Neil Diamond, with his inspired tribute show, DIAMOND IS FOREVER! David began his professional entertainment career at the age of 16 playing in a folk group and performing in musical theater while studying and living on the Mediterranean Island of Malta where he appeared at the Dragonara Palace Casino and other entertainment venues. There he appeared in numerous productions in both musical and dramatic roles. At age 17 he appeared in a European production of the rock opera "Jesus Christ Superstar," in the supporting lead role of Judas Iscariot. David's voice and talent did not go unnoticed by the local press and his time in Europe brought many firsts ranging from appearing on both television and radio to singing and performing on the stage of the oldest standing operational theater in Europe, The Manoel Theatre in Valletta, Malta. Here David performed his first Diamond song "Sweet Caroline," live along with the Elvis classic, "Blue Suede Shoes." David toured and performed in Europe for over 7 years, visiting and residing in such exotic locations as Malta, Italy, Sicily, Portugal, England and Tunisia in Northern Africa before returning to the United States.Back in the United States David's professional experience included many years as a renowned professional MC, disc jockey, vocalist, entertainer and show producer and, in more recent years, he made his mark on the West Coast as manager and promoter of the 12-piece B!G DADDY ORCHESTRA, nominated "Best Big Band" at the "San Diego Music Awards" for two consecutive years. Notable also was the success of his musical production, A TRIBUTE TO THE STARS!, staged at numerous venues including The California Center for the Arts, Escondido, The La Costa Resort, Hotel Del Coronado and with much acclaim at Lawrence Welk Resort Theater. This lead to David performing Diamond songs live on a TV morning show in San Diego. "For a while, when I was in school, music was my life. I don't think that I would have made it if not for music. I bought records constantly and had a transistor radio glued to my ear. Later I bought my first guitar and lugged it with me everywhere. My favorites and biggest influences were The Beatles, Elvis and Neil Diamond. They were like my big brothers--cool, long-haired demigods. But I especially related to Neil's lyrics." Seeing Diamond in concert inspired David to follow his dreams of working in entertainment. "I knew a lot of guys in the 50's who dreamed of bein' the King--being Elvis--but I was a 60's kid and I wanted to be like Neil Diamond! He was the cool guy to me--to my era. I still have an old black and white photo of myself singing at a theater in Europe in 1973. I was 16 and I'm surprised now to see that I looked so much like Diamond did at that time! My hair is the same. So are my clothes: a shirt with a big collar and puffy sleeves, a fringed vest, bell-bottomed pants and boots! Seems I was one of the original Neil Diamond look-alikes before they ever existed. But I was really just being me, young and alive in the 70's. Neil taught me to dream and I dreamed of being an actor, a singer, an entertainer and, sometimes in my wildest dreams, I dreamed of being Neil Diamond! That dream in many ways has became a reality with DIAMOND IS FOREVER!, my tribute to the Sound, Style and Feel of the phenomenal pop icon, Neil Diamond." Famous for their song "White Bird", a melancholy ballad that stood out not only for its memorable vocal melody and "seize the day" message, but also for front man David Laflamme's slow-burning violin solo. Multiple albums were laced with classic cuts such as "Hot Summer Day", "Bombay Calling," "Girl With No Eyes", "Wasted Union Blues", "Time Is", "Dolphins", "Misery Loves Company", and many more you'll remember. Today the band performs the music of It's A Beautiful Day along with newer material, moving effortlessly from an almost folksy sound to ethereal jazz to psychedelic to straight on rock & roll performing selections from three new CDs and over seven of their previous albums. 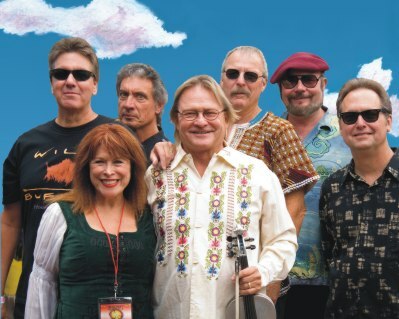 The show is enhanced with David Laflamme's delightful reminiscing of the San Francisco Summer of Love Days and 40 plus years of performing. 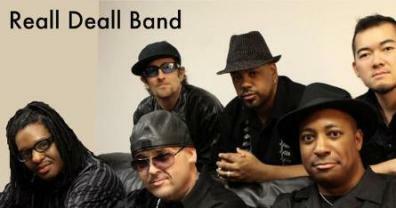 The current band boasts the longest continuous lineup of 8 years with 4 of the 6 members going back 25-40 years! David LaFlamme on violin and vocals, Linda LaFlamme vocals, original drummer Val Fuentes, 28 year veteran Toby Gray on bass, Rob Espinosa on guitar and Gary Thomas on keyboards. Bo Django, an exciting new musical group, plays the fiery music created in the 1930s and ‘40s by legendary French Gypsy guitarist, Django Reinhardt, and carried on today largely by European Gypsies and non-Gypsies alike. Known today as “Gypsy jazz,” “Gypsy Swing,” “Hot Club” music, or “Jazz Manouche,” Bo Django’s sound combines European sophistication, American jazz, and the signature harmonies and emotional intensity of Gypsy music everywhere. In addition to Gypsy jazz, Bo Django intersperses songs with Latin rhythms, French “musette” waltzes, and other popular and jazz numbers. Unique-sounding Gypsy jazz acoustic guitars, a pulsing string bass, and (with the quartet option) European-tinged jazz violin, create an irresistible blend. Bo Django’s music appeals to people of all ages – from children to seniors. From plaintive ballad melodies to blistering solos, passion and inventiveness are the common threads. Bo Django is the culmination of its members’ efforts to create a high-quality Gypsy jazz group with “the right” sound. After performing numerous times at various venues, the group named itself Bo Django, in honor of Django himself. Bo Django performs at private parties, public events, festivals, weddings (even including the wedding march, if desired), restaurants, wine bars, and all sorts of indoor and outdoor events. Dress is according to the client’s wishes, from casual to suits to tuxes. The members of the group are courteous, mature, and responsible. The Musicians David Laflamme Beginning his musical education at age five, David grew up to be a violin soloist for the Utah Symphony Orchestra and performed in numerous concert halls around the world. After moving to the Bay Area in the early ‘60s, he became an icon in the underground scene, performing with people such as Jerry Garcia and Janis Joplin. After co-founding Dan Hicks & His Hot Licks, he joined It's a Beautiful Day in the mid-60s, which released the classic hit, "White Bird," followed by more albums. In addition to classical and rock violin, David has for many years loved and played jazz violin and the music of Stephane Grappelli, the great jazz violinist who accompanied Django. Paul Gruen Paul has been playing guitar since he was nine years old, progressing from folk to classical to rock to bluegrass to Django and to jazz in general. He has performed Django’s music off and on for thirty years, and playing Gypsy jazz guitar is Paul’s greatest passion. He grew up in Los Angeles but lived in Chapel Hill, North Carolina for several years, where he helped found the Europa Jazz Quartet and also performed with members of the Squirrel Nut Zippers. Paul teaches Gypsy jazz, straight-ahead jazz, bluegrass and other styles of guitar playing, as well as banjo and ukulele, at Tall Toad Music in Petaluma and Music X in Santa Rosa. He also builds acoustic guitars. Michael Price Michael is a professional bassist and music educator; his musical journeys have taken him through jazz groups, classical ensembles, rock bands, r&b outfits, Gamelans, and University diplomas. The other members of Bo Django appreciate that Michael is one of those rare string bassists who connect musically with the audience and consistently receive enthusiastic applause. Michael says he rarely has found such excitement as in this group, and he simply loves being part of Bo Django. Ned Ripple Ned has been playing guitar for roughly four decades, beginning with the early 60’s folk craze and quickly progressing to jazz. Soon after moving to the Bay Area in the early 70’s, Ned heard the fantastic music that Django created, discovered "hot jazz" in general and never looked back. 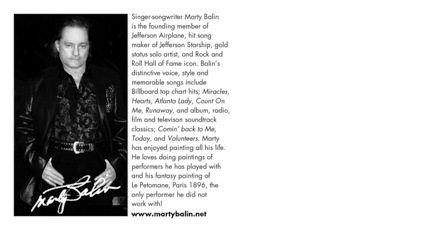 Throughout the 70's and 80's he performed in many local well-known clubs with various “jive” vocal, hot-club-infused jazz bands. Ned has also appeared on local radio stations and in a nationally-syndicated film. In addition to being a member of Bo Django, he also performs with his jazz vocal group, On the Air, and with The Hot Club of Marin. Mellow Yellow pays tribute to '60s psychedelia with truly authentic renditions of some of the genre's greatest songs. While other tribute bands just play the music, Mellow Yellow goes the extra mile to capture all the hey-man-peace-and-love-grooviness of the songs that helped define a decade. This attention to the essence of the music – as well as dazzling arrangements, outrageous costumes and trippy video visuals – results in not just a show, but a full-on, far-out experience of an era gone by. 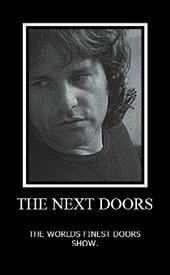 A musically acurate, moving portral of Jim Morrison and The Doors for real Doors fans. We express a real passion for the music of The Doors and the talent of Morrison...The ceremony is about to begin. Elvis Tribute "That's The Way It Was" the Concert. 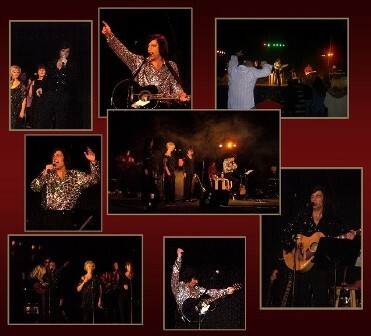 A spectacular recreation of Elvis in his prime and at his best from 1969 to 1971 at the International Hilton in Las Vegas. Also, another one of history's most difinitive moments in entertainment from the 60's, The 1968 Comeback Special is also available. Book Dale The Power of Choice! Dale Smith Thomas has a message of success and choice for your audience, as well as an empowering, engaging style that will challenge your organization to make changes that will take them to a new level, both personally and professionally! For more than 17 years, Dale Smith Thomas has been empowering, educating and daring audiences to make choices to be their personal best in all areas of their life. Her down-to-earth, real approach has audiences walking away with information they can use immediately. Dale's powerful and direct message has been shared around the globe to audiences in all walks of life. Industries from Insurance, Healthcare, Direct Sales, Financial, Entertainment and more have been inspired and encouraged by Dale's effective message. Dale knows how to connect to the head and heart of each audience and engages them with success keys that empower them to make choices that will make them champions. Described as an "unapologetic optimist" Dale's energy and messages are captivating and will leave your audience making choices to win in every area of their lives. Dale Smith Thomas - "Challenging You To Make Winning Choices In All Areas Of Your Life"
The mission of The THE BAND Band is to present the music of The Band in a manner true to its original style and form, evoking the sound and the spirit of their live performances; to perform their songs for longtime fans as well as a new generation of listeners; and to have fun doing it. The members of The THE BAND Band are veteran professional musicians who have played on the national stage for over 25 years. They share a love for the music of The Band, and formed this tribute band for the sheer enjoyment of playing their songs. By covering all the well-loved favorites, as well as a broad selection of lesser-known songs, they showcase the astounding breadth and depth of The Band’s distinctively original “roots rock” music. The Band is undeniably one of the greatest and most influential groups in the history of rock and roll. Their 1968 debut album, Music From Big Pink, was ranked #34 on Rolling Stone magazine’s list of the top 500 greatest albums of all time in 2003, and a year later, The Band was ranked #50 on their list of the 100 Greatest Artists of All Time. Many of their songs, such as “The Weight”, “Up On Cripple Creek”, and “The Night They Drove Old Dixie Down”, are universally regarded as timeless classics. But while The Band may be long gone from the stage, The THE BAND Band is the perfect remedy for Band-starved fans everywhere. 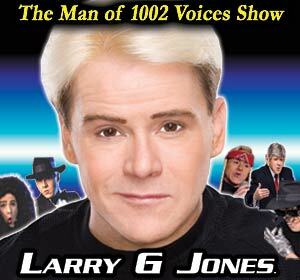 With over 2,400 Las Vegas performances to his credit...."Entertainer of the Year" and "Impressionist of the Year" are two titles often used to describe 'Comic Singing Impressionist' Larry G Jones. His one-man show also competed with Las Vegas' biggest productions to prove its merit with over four years as one of Tripadvisor's 'Top Five' consumer rated Vegas shows. Each customizable experience is a fast-paced and fun filled celebration of hit music mixed with hilarious clean comedy. You will be highly entertained by an all-star celebrity cast of rapid-fire voice impressions including many of Las Vegas' biggest headliners and Billboard's greatest artists. Get Ready... for some fun! Simply Diamond performs "LOVE ON THE ROCKS"
Brian La Blanc For the past two years, following the advice of Paul Shaffer of The Late Show with David Letterman, Brian embarked on a new musical venture…a Neil Diamond tribute band, called “Simply Diamond”. As per Paul Shaffer, “Brian is the best Neil Diamond tribute act out there”. “His voice sounds like the real deal”. “I’ve seen four of the biggest Neil Diamond tribute acts and this guy blows them all away”. In early December, Brian made his first appearance on a new AOL internet show called “Latenet with Ray Ellin”. Paul Shaffer did the honors of introducing him on the show. He has also appeared at many clubs in the Tri State NY metro area. 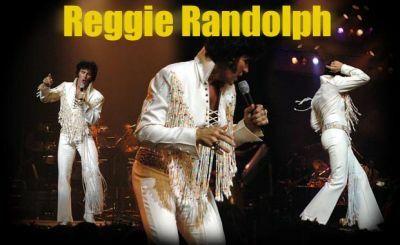 Recently he was a guest on the Joey Reynolds radio show, another music legend, who worked with Neil Diamond at Bang Records and who broke many of Neil’s hits on the radio back in the day. After Brian sang live , Joey said, “I can’t tell the difference between Brian and Neil…if I closed my eyes I’d swear that Neil is here with me in the room”. Brian started his career working with Rupert Holmes, a famous writer, composer, lyricist, arranger and Tony award winning playwright . He then went on to record an album with his brother in the early 80's, produced by renowned lead singer and organist, Felix Cavaliere from the rock and roll hall of fame inducted band "The Young Rascals". Brian’s video was in rotation on MTV. The La Blanc brothers have also worked with, and received tremendous praise from legendary producer and arranger, the late great, Arif Mardin (Bee Gees; Aretha Franklin; Phil Collins; Hall & Oates; Norah Jones). Some of the projects that Brian has worked on involved “Toto” lead singer Bobby Kimball and legendary singer Ronnie Spector. He has also penned songs for other artists on the Frontier label as well. 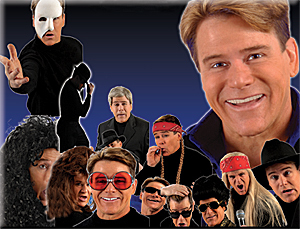 Brian has performed at many well-known venues in NYC and across the country including a television appearance on the original Star Search back in the 80’s. Brian and his band have also opened up for many national touring acts including Grammy winners, The Blind Boys of Alabama and Survivor. Simply Diamond Ray Ellin FINAL ! Felix Cavilere ...rock and roll hall of fame inductee from The Rascals says " Simply Diamond is POWERFUL !...what a fun show "
testimonials I have personally seen four of the top Neil Diamond tribute acts in the country and this guy blows them all away ! Paul Shaffer Band leader of "Late Night With David Letterman"
Attention all Neil Diamondheads! Brian LaBlanc will make you wish you still had your Hot August Night album. His show is a non-stop thrill. Truly Enjoyable! A musical treat , what a fun show! Thanks for sharing that. Brian sounds great. The Band sounds great! Felix Cavaliere singer, songwriter, organ player from the Young Rascals. Danny Seraphine Drummer for the legendary band CHICAGO. I thought it was Neil...Classic ! 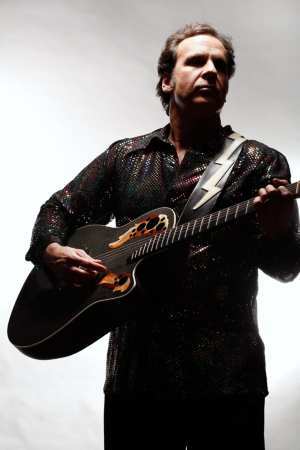 vocalist, songwriter from the band TOTO Brian La Blanc For the past two years, following the advice of Paul Shaffer of The Late Show with David Letterman, Brian embarked on a new musical venture…a Neil Diamond tribute band, called “Simply Diamond”. As per Paul Shaffer, “Brian is the best Neil Diamond tribute act out there”. “His voice sounds like the real deal”. “I’ve seen four of the biggest Neil Diamond tribute acts and this guy blows them all away”. In early December, Brian made his first appearance on a new AOL internet show called “Latenet with Ray Ellin”. Paul Shaffer did the honors of introducing him on the show. He has also appeared at many clubs in the Tri State NY metro area. Recently he was a guest on the Joey Reynolds radio show, another music legend, who worked with Neil Diamond at Bang Records and who broke many of Neil’s hits on the radio back in the day. After Brian sang live , Joey said, “I can’t tell the difference between Brian and Neil…if I closed my eyes I’d swear that Neil is here with me in the room”. Georgette is not only the daughter of country legends, George Jones and Tammy Wynette, but is an accomplished singer and songwriter in her own right. She is signed to Heart of Texas Records and is currently recording her second CD and has a book titled "The Three of Us" to be released in July, 2011. Georgette also had a reoccurring role in the tv series "Sordid Lives" co-staring with Leslie Jordan and Olivia Newton-John. She travels both within the US and overseas showcasing both a traditional Opry style show and also a more modern style country show. Surrealistic Pillow show which includes Marty's other hits "Volunteers", "Count On Me", "Miracles", "Runaway", "With Your Love" and others, though only the songs on teh Surrealistic Pillow album (White Rabbit, Somebody To Love) are absolutes on this tour. The set list changes from night to night with the exception of the Surrealistic Pillow LP/CD. The Boston Esplanade, July 23, 2011, followed a gig on Martha's Vineyard the night before. This show with Eddie Money in Boston was tremendous, approximately 22,000 people showed up for the double bill from two rock and roll legends. A dynamite 9 song set to rock the city of Boston.